Introductory Statistics for the Behavioral Sciences has had a long and successful history and is a popular and well-respected statistics text. 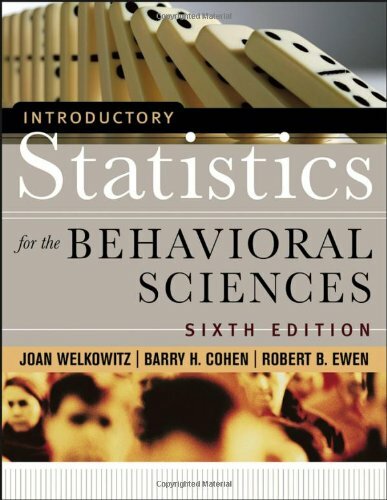 Now in its sixth edition, the text has been thoroughly revised to present all the topics students in the behavioral sciences need in a uniquely accessible format that aids in the comprehension and implementation of the statistical analyses most commonly used in the behavioral sciences. Using a continuous narrative that explains statistics and tracks a common data set throughout, the authors have developed an innovative approach that makes the material unintimidating and memorable, providing a framework that connects all of the topics in the text and allows for easy comparison of different statistical analyses. Joan Welkowitz, PhD, was a Professor of Psychology at New York University. She directed the clinical program for ten years, and taught courses in methodology and statistics at both the graduate and undergraduate levels for more than twenty-five years. Barry H. Cohen, PhD, is the Director of the master's program in psychology at New York University, where he has been teaching statistics for more than twenty years. He is the author or coauthor of two other successful statistics books also from Wiley–Explaining Psychological Statistics, Second Edition and Essentials of Statistics for the Social and Behavioral Sciences with R. Brooke Lea. Robert B. Ewen, PhD, teaches advanced placement psychology at Gulliver Preparatory School in Miami, Florida. He previously taught statistics for eight years as an associate professor at New York University. He is also the author of a successful college text on theories of personality that is currently in its sixth edition.